Difference between revisions of "HAB Tracker Station"
Project pagina voor het high altitude balloon tracking/listening station dat we voor de space aan het inrichten zijn. "in progress" is not in the list of possible values (Proposed, Initializing, In progress, Completed, Stalled, Abandoned) for this property. Sending test payload --> works! gqrx to listen to audio --> works! 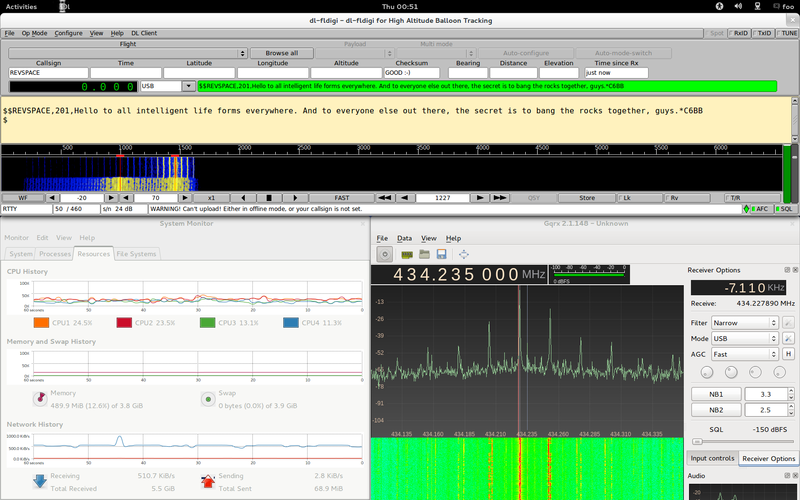 dl-fldigi RTTY decoding --> works! Currently we have no antenna. Well need some heavy duty (directional?) antenna. Do we make one or do we buy one? Your ideas, we love them!